Aster Zaoude, a former United Nations leader for gender equality and women’s empowerment, discovered one of my articles on her Facebook news feed. 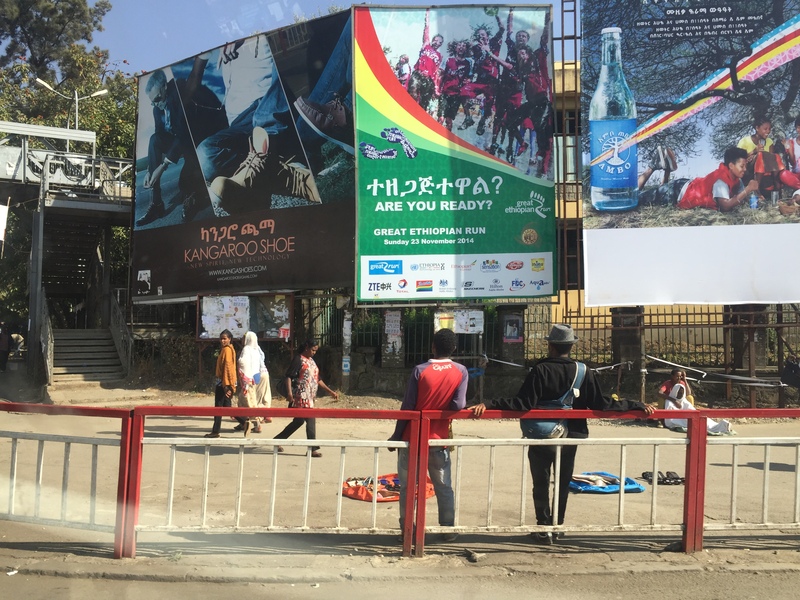 Excited to share my message with the disability community in Ethiopia, she generously invited me to visit Ethiopia and provide presentations there. 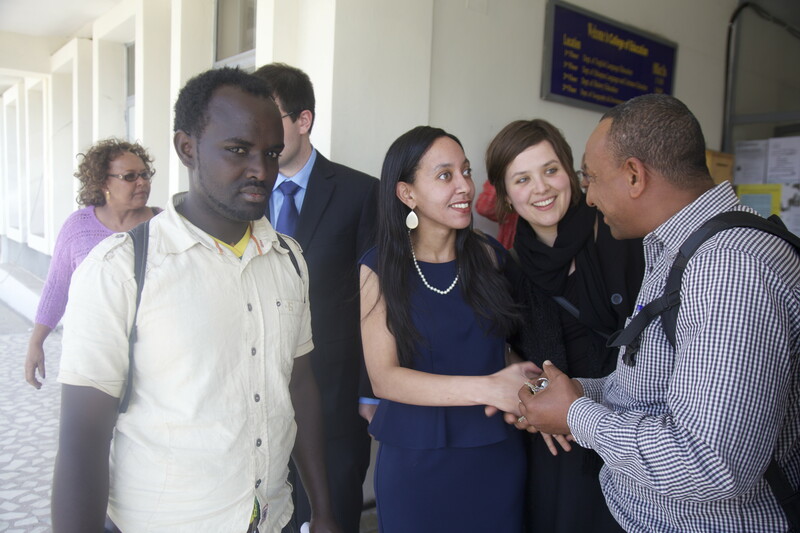 Aster organized an ambitious agenda that included TV interviews, presentations at universities, visits with several disability organizations, and most importantly, a meeting with Ethiopia’s Minister of Foreign Affairs, Dr. Tedros Adhanom. 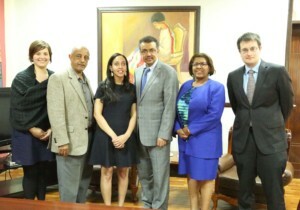 Haben and Dr. Tedros at the Ministry of Foreign Affairs. 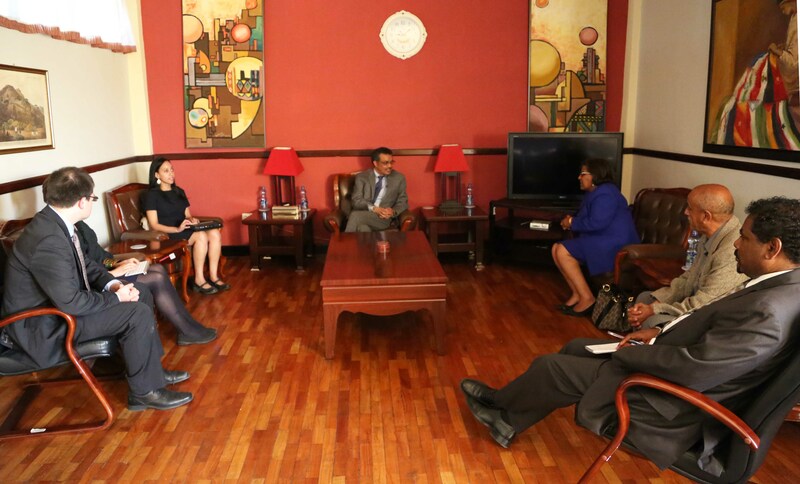 Minister of Foreign Affairs, Dr. Tedros Adhanom honored us with an hour long meeting despite his very busy schedule. 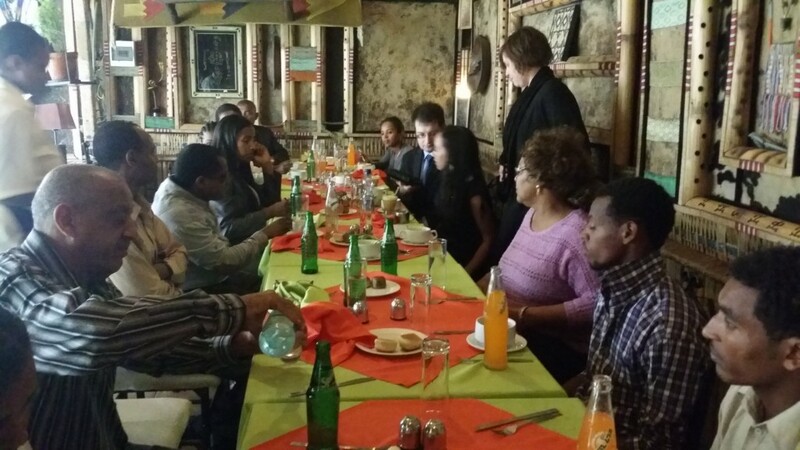 I had planned to share the message that, with the right tools and training, people with disabilities can contribute equally to society. 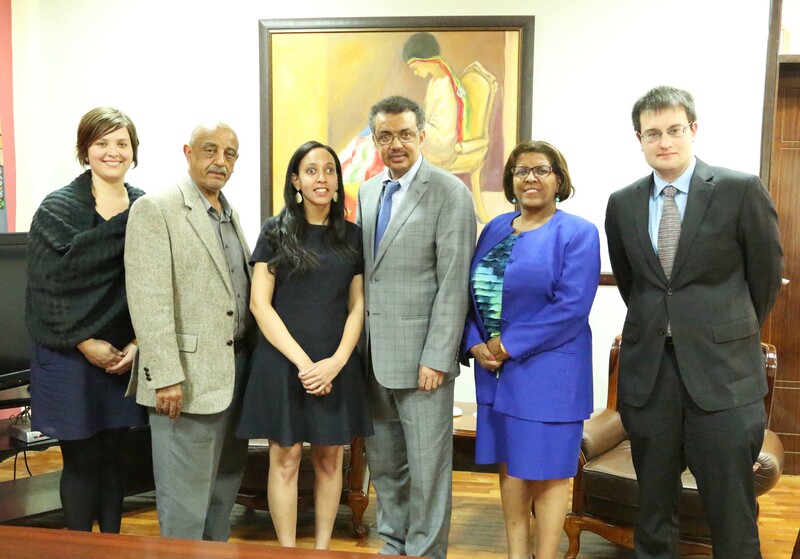 Imagine the thrill I felt when Dr. Tedros started our meeting by explaining that he believed cultural attitudes towards disability posed the biggest barrier for Ethiopians. 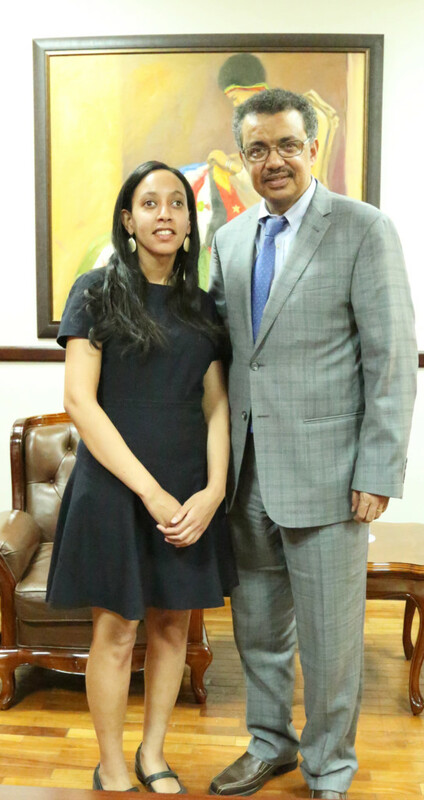 We connected immediately, discussing the ways we could increase access for people with disabilities. 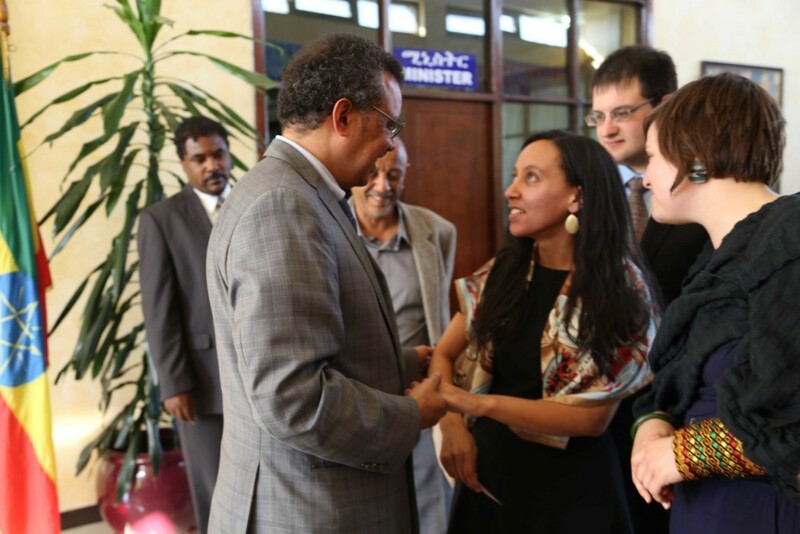 Dr. Tedros has accomplished so much in the many years he has served Ethiopia. His efforts have increased access to healthcare throughout the country, significantly reduced infant mortality, and much more. 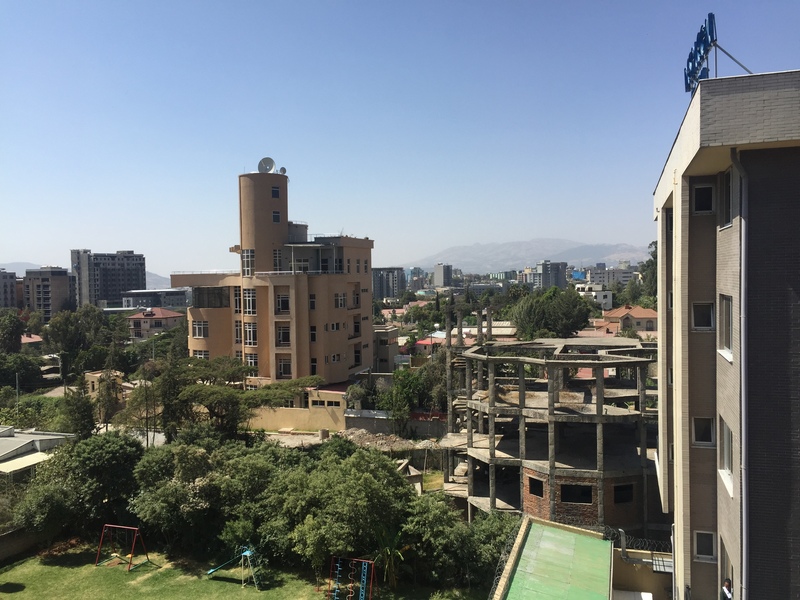 With his positive philosophy on disability rights and opportunities, I have no doubt that access for Ethiopians with disabilities will continue to improve. Ethiopia has a very rich and complex heritage. 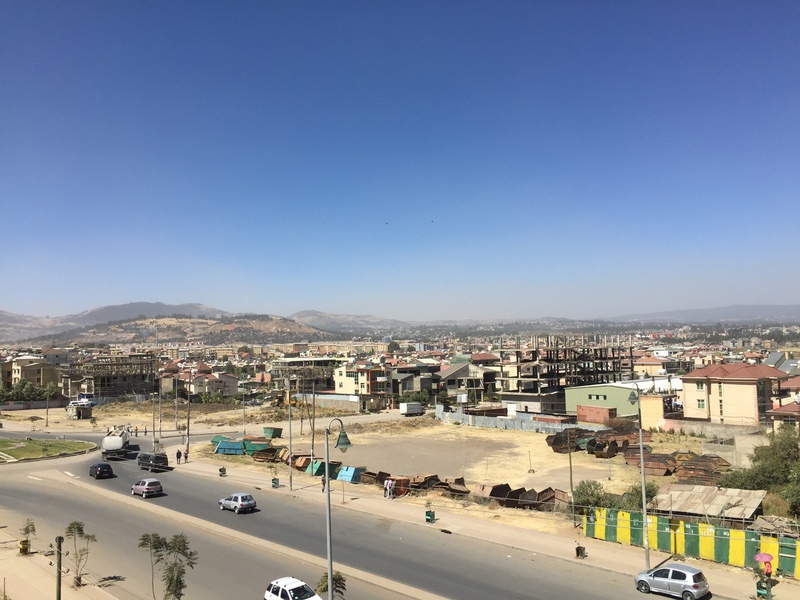 Archeologists have found the oldest human skeletons, Lucy and Selam, in a region of Ethiopia known as the Cradle of Humanity. 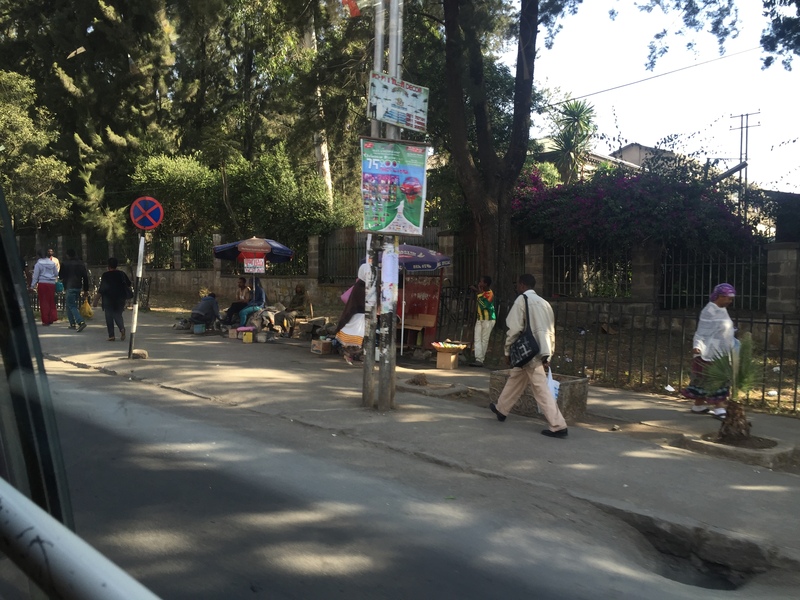 Ethiopians take pride in the country’s rich history, and many businesses around the country display the name Lucy. We found the world’s most amazing tea at the Lucy Restaurant near the National Museum —they called their mix of hot black tea, fresh orange juice, ginger, honey, and araki (Ethiopian liquor) “Lucy Special Tea.” Because archeologists discovered Selam very recently, few establishments celebrate this ancestor who is actually older than Lucy. 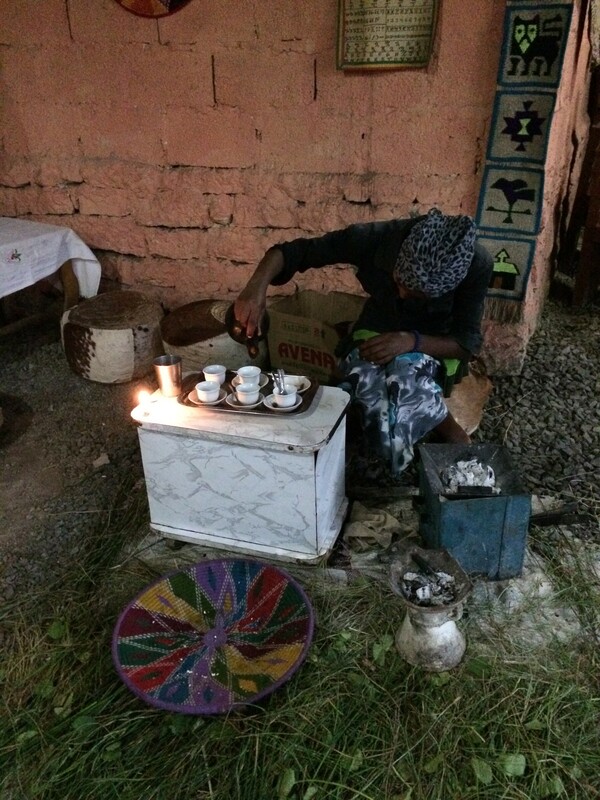 Perhaps in a few years a new restaurant will create a spectacular Selam Special Tea. 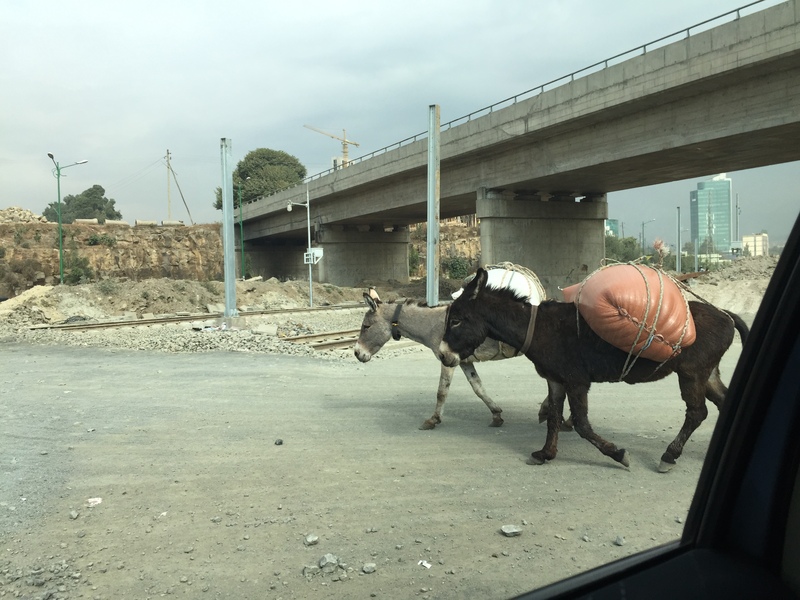 In addition to celebrating the birthplace of human evolution, people embrace a deeply Judeo-Christian culture. Ethiopians believe Emperor Haile Selassie I is the descendant of Menelik I, the son of King Solomon and Abyssinian Queen Makeda, otherwise known as the Queen of Sheba. 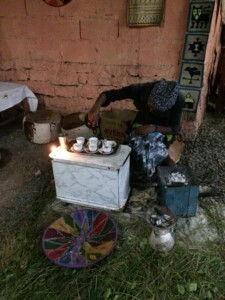 The story of the Queen of Sheba is still very much alive. 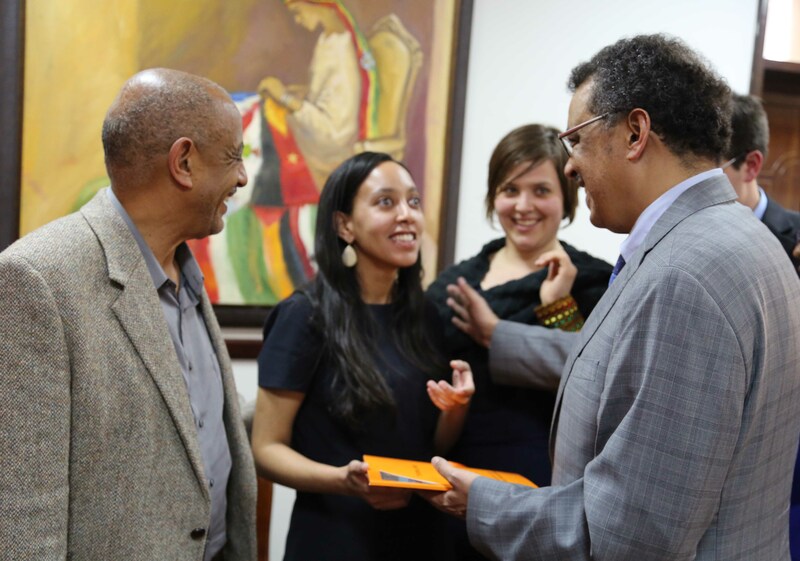 In fact, one of the scarves Dr. Tedros gave me as a gift has a beautiful depiction of the Queen of Sheba kneeling before King Solomon at his palace in Jerusalem. 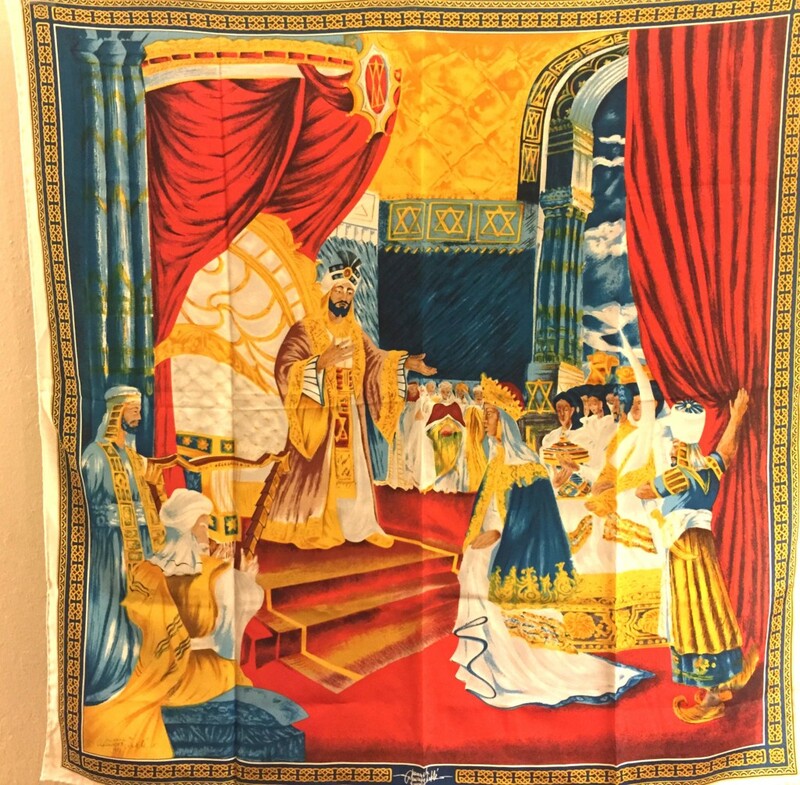 Scarf depicting the Queen of Sheba’s visit to King Solomon in Jerusalem. 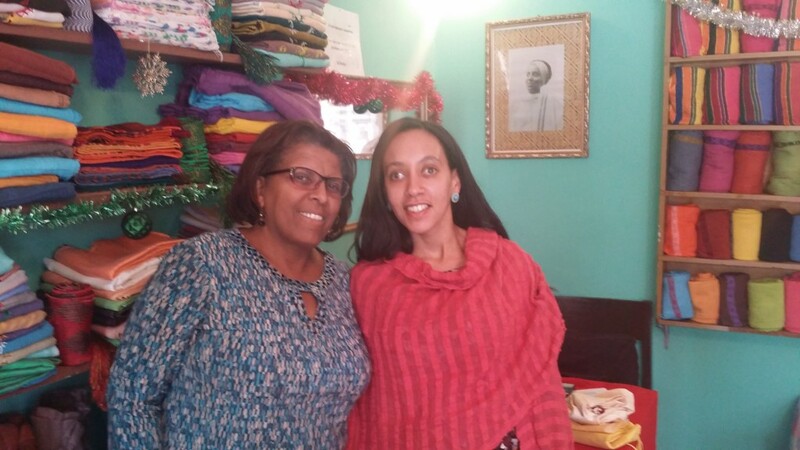 Haben with Shitaye Astawes, Executive Director of the Federation of Ethiopian National Associations of Persons with Disabilities. 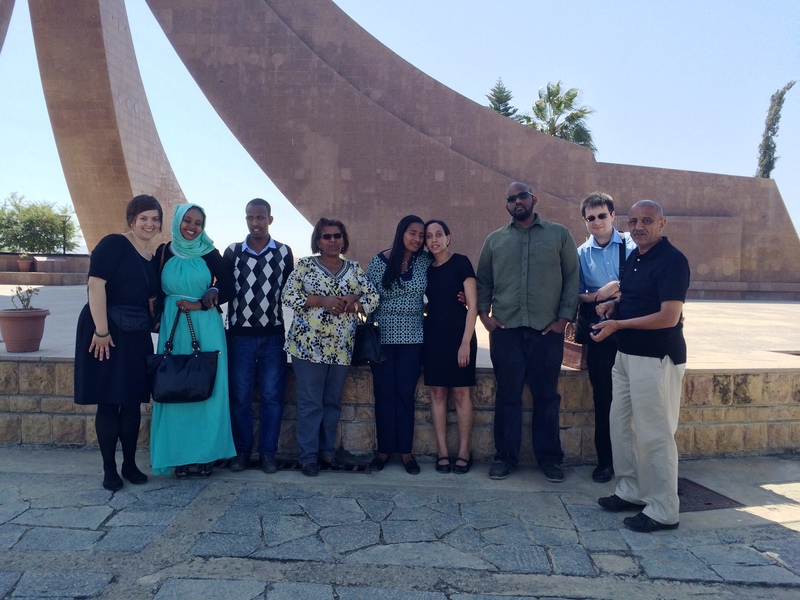 Legend has it that the Queen of Sheba traveled to Jerusalem to witness the wisdom of King Solomon. Each tested the other’s cleverness, eventually falling in love. Emperor Haile Selassie I (1892-1975), the last Emperor of Ethiopia, used the title “Lion of Judah” in reference to his lineage from King Solomon. Emperor Haile Selassie I valued education, opening many modern schools during his time. He opened the first school for blind children in the country, and he visited the children almost every Sunday. When he later dedicated his Imperial Palace to Addis Ababa University, it became one of the first universities in Africa to open its doors to students with disabilities. 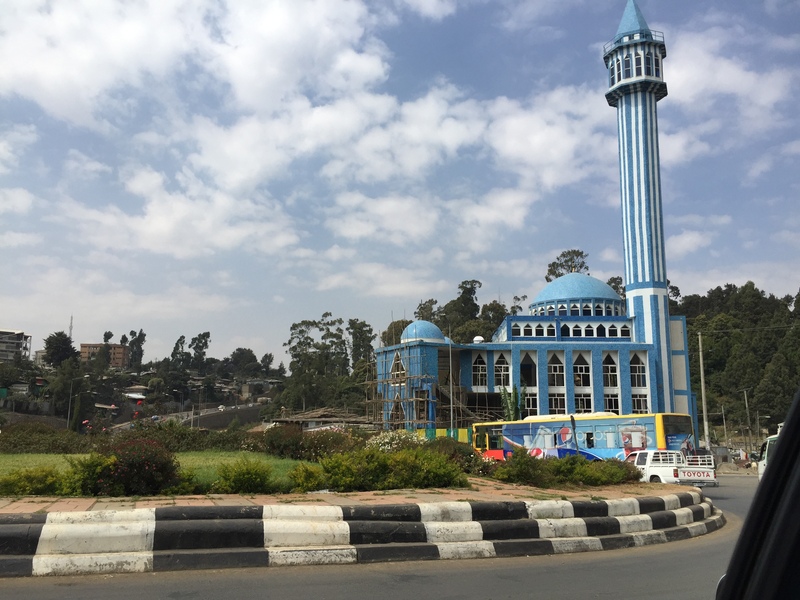 Unfortunately, religious beliefs characterizing disability as a curse has been identified by the Federation of Ethiopian National Associations of Persons with Disabilities as one of the main reasons Ethiopians with disabilities experience extreme marginalization. 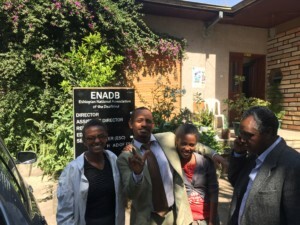 Disability rights leaders continue to change attitudes throughout the country, seeking to ensure equal opportunities for Ethiopians with disabilities. 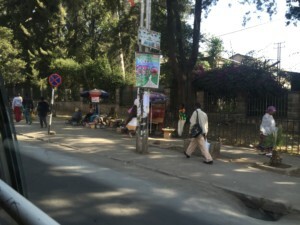 One very powerful tool to free families of the old idea of disability as a curse is mass media and in Ethiopia, it means radio and television. 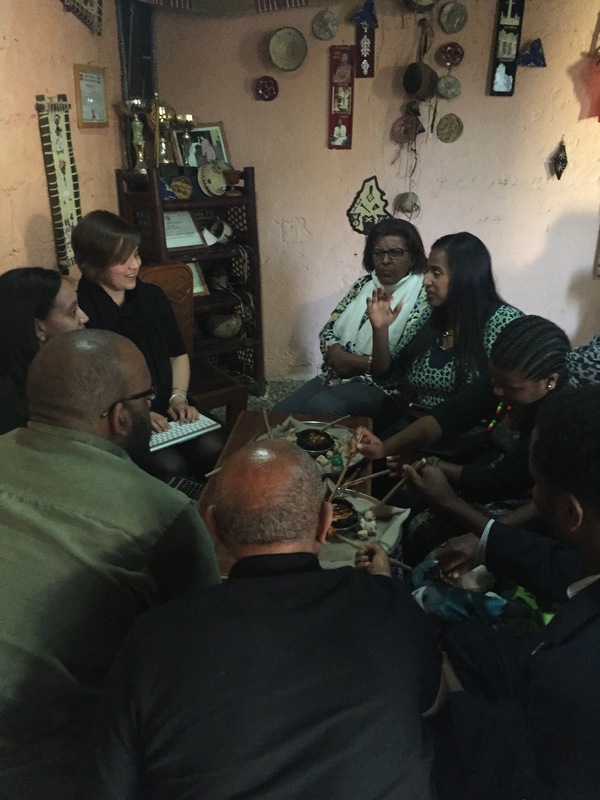 Radio and TV have the power to influence attitudes, bringing new ideas to millions of homes. For years, TV producers have made an effort to show positive images of disability. 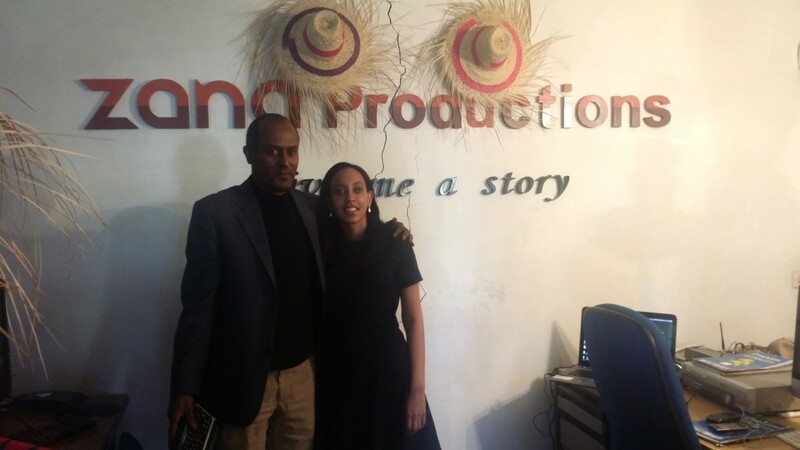 The nationally loved Tefera Ghedamu used to volunteer as a reader for blind students before becoming a TV producer. As the host for the popular show Meet ETV, which is now Meet EBC, Tefera interviews disability leaders on his show to help change cultural attitudes about disability. 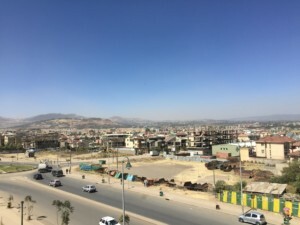 While talking to me on his show, Tefera did something remarkable: he temporarily changed his usual conversation style of speaking English to typing English on my keyboard. As he typed, I voiced his questions as well as my answers. His open curiosity during his show emphasized his message: alternative methods of working and connecting have equal value. 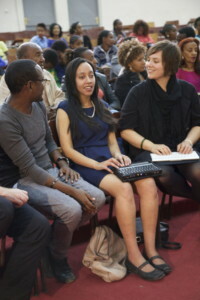 I felt honored to appear on Meet EBC. 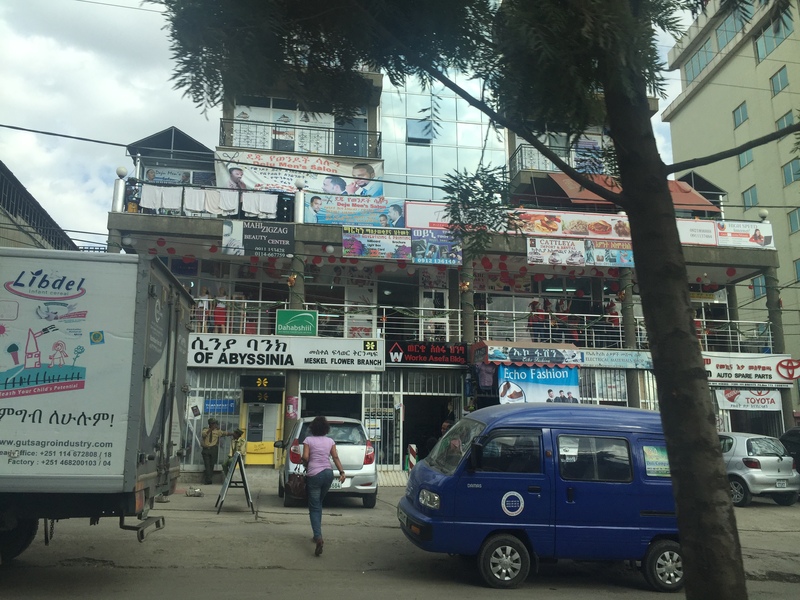 I also gave an interview for an Amharic program “Let the Doors be Opened,” run on EBC3 by a TV producer named Ruth who used to work as a special education teacher. 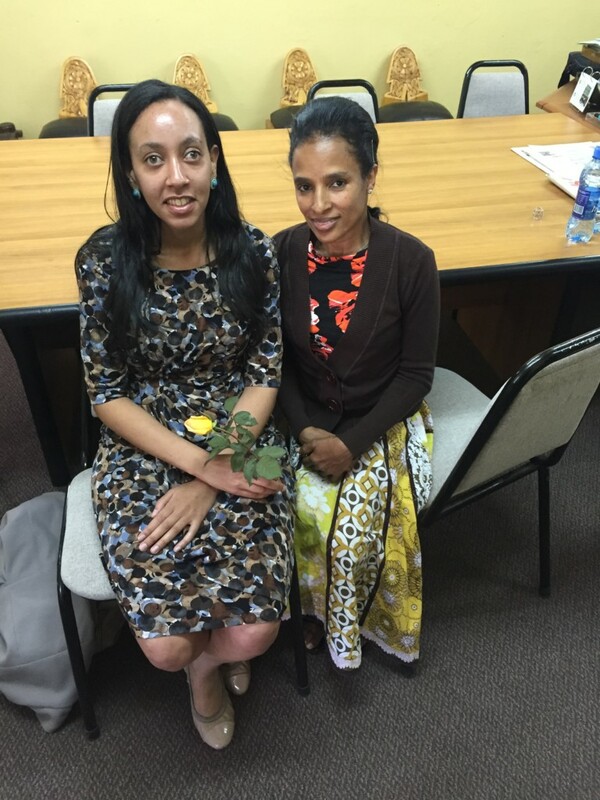 Ethiopia has many outstanding disability rights leaders and advocates, including Aster Zaoude. After a rewarding career of 30 years in the United Nations, Aster returned to her home country of Ethiopia where she continues to support women’s rights and girls’ education. 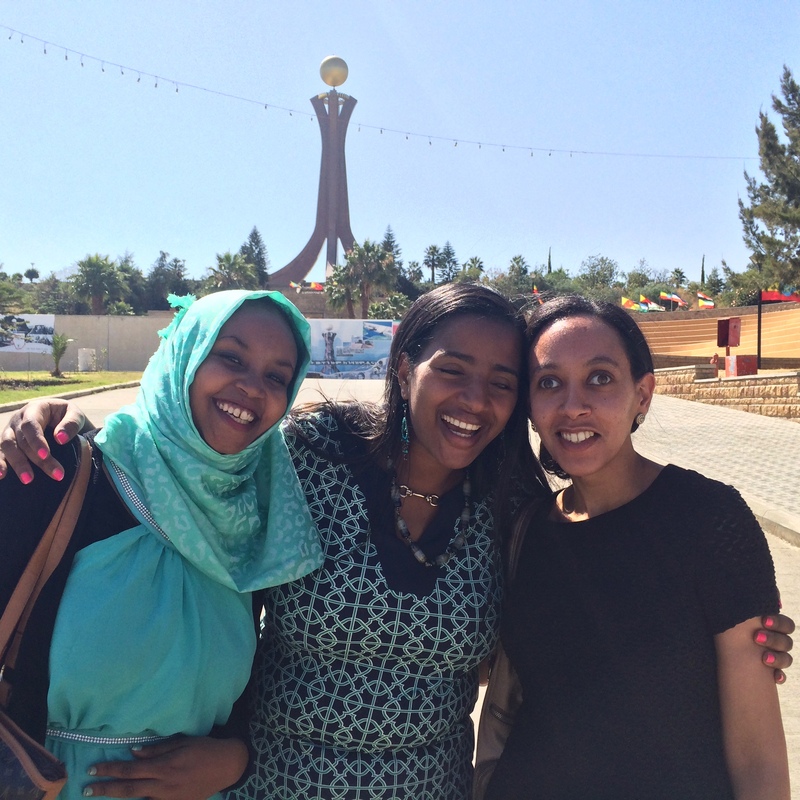 Wanting to inspire future women leaders, Aster invested her personal resources in a scholarship fund for blind female students at the country’s premier university, Addis Ababa University. 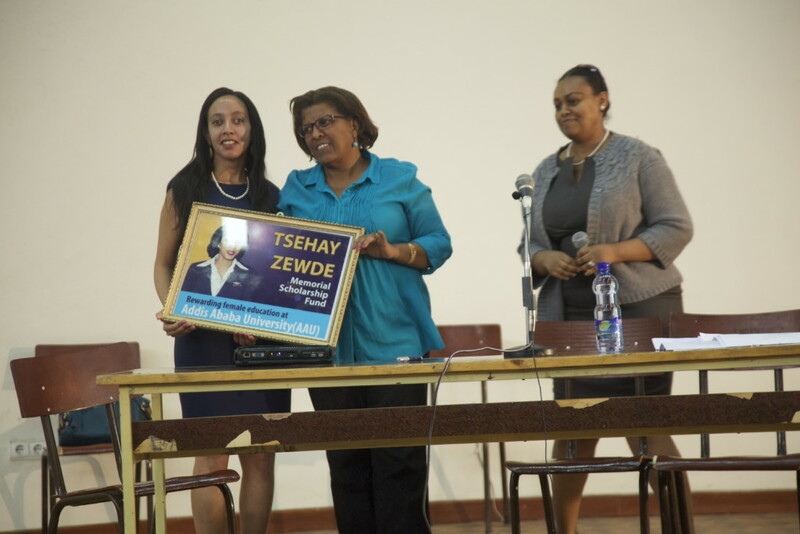 She named it the Tsehay Zewde Memorial Scholarship Program to honor the memory of her sister who had been working as a hostess on the Ethiopian Airlines flight that was hijacked and crashed over the Comoros Islands in 1996. 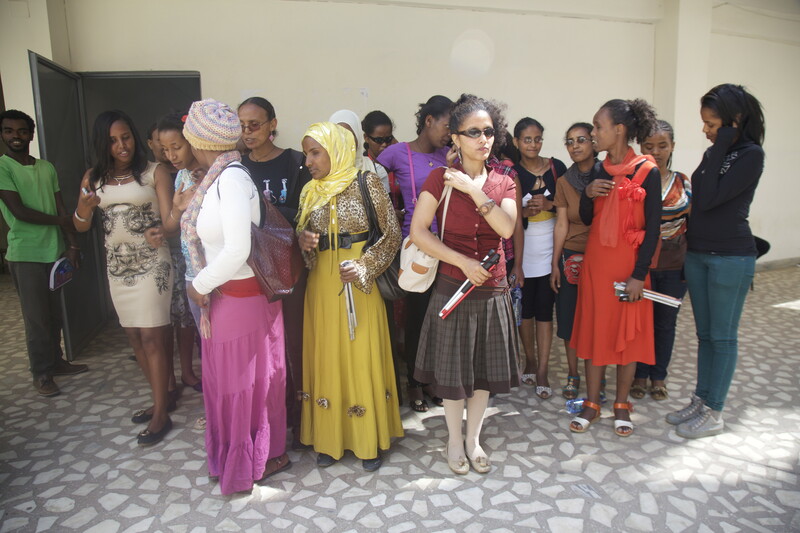 The scholarship has already supported the education of 280 blind female students since 2011. 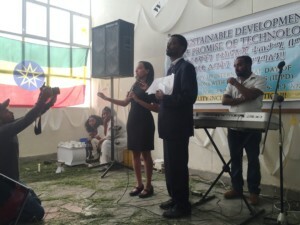 Aster pledged to continue her support to the memorial scholarship program that has recently received a major grant from a local NGO, Initiative Africa and it’s Swedish donor, SIDA. Helen and Haben outside Lucy Restaurant. Recognizing that women with disabilities face multiple challenges including gender discrimination, Aster also set up a leadership and life skills training program for all incoming blind female students. 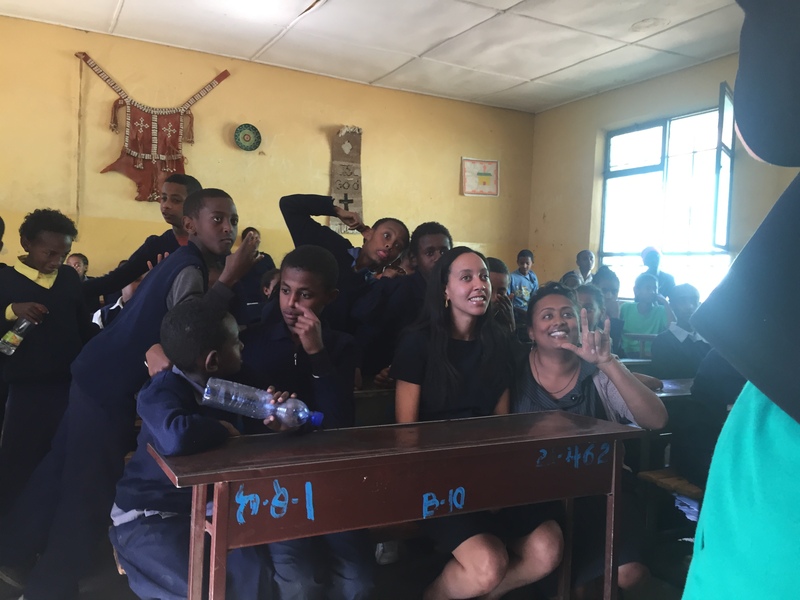 The program empowers students to switch from apologizing for their presence in this prestigious institution of learning to being assertive and raising their voices to advocate for better facilities and accommodations they need. One of the first blind women to benefit from the scholarship program is Helen Teshome, holder of a Masters Degree from Addis Ababa University. With her leadership role, Helen serves as a role model for incoming blind students, reminding them that they have a right to an education. Through a grand ceremony at Mandela Hall that drew hundreds of students, the Vice President, faculty and school administrators, international NGO leaders, and foreign diplomats, the blind women of Addis Ababa University shared their voices. Helen gave a testimony at the celebration of the Tsehay Zewde Memorial Scholarship Program that she continues to help as a trainer and a mentor for new students. 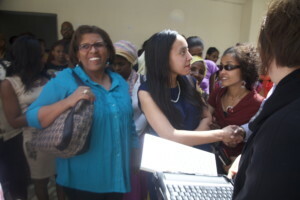 The President of the University has dedicated a learning space and a technology center where blind female students may access computers with screenreaders and braille embossers. The primary technology that was available to them through the Disability Center at the University was old model tape recorders. The students used to tape their lectures on cassettes, then replay the tapes in their rooms, bent over their desks to avoid making noise and to save on batteries. Aster provided funding for 60 digital recorders, rechargeable batteries, and headphones that were a significant improvement. But when she realized the limitations of the learning facilities she and students representing the disabled successfully advocated for a technology and learning center which is now fully equipped to serve the students. In support of the students’ advocacy, my keynote address stressed the importance of technology for the education of students with disabilities. Assistive technology provides disabled students with the tools to develop their talents and become productive members of society. 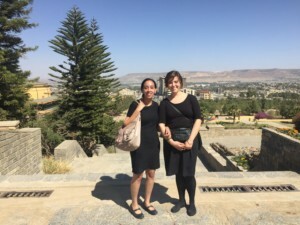 Administrators and faculty appreciated my presentations, and Mekele University now plans to open a technology center for blind female students within the year. 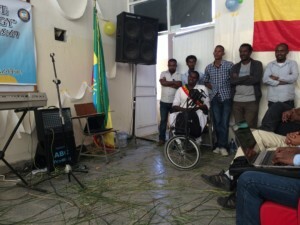 While December 3 is the International Day for Persons with Disabilities, Mekele University decided to postpone celebrating until December 26 when they learned of my visit. The Ethiopian Center for Disability and Development (ECDD) organized our visit to the beautiful city of Mekele, located in the northern Tigray region of Ethiopia. 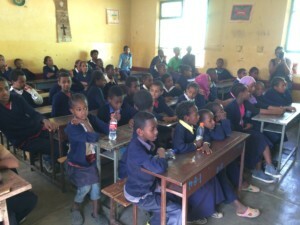 Students there celebrated with Ethiopian traditional music, poetry, and a coffee ceremony complete with incense (Ethiopian myrrh), popcorn, and cookies. 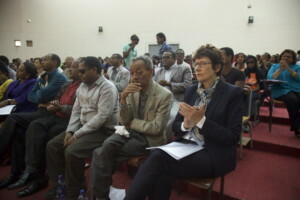 The Executive Director of ECDD, Yetnebersh Negussie (Yeti) who is also blind, gave a powerful presentation. Her presence holds a certain magic for audiences. 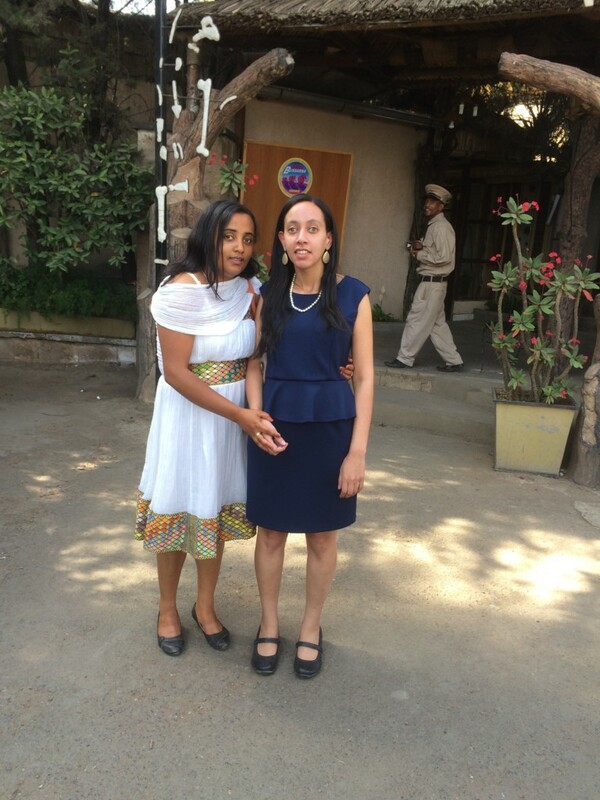 Yeti speaks extremely well, carrying a confidence particularly remarkable given the discrimination and stigma experienced by many blind women in Ethiopia. Active in the disability rights community for many years, Yeti has been recognized nationally and internationally for her leadership. Taking the stage at Mekele University, Yeti encouraged students with disabilities to reach out to ECDD. 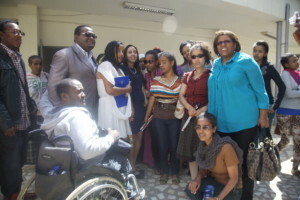 After Yeti, I presented to the students, stressing the importance of self-advocacy. 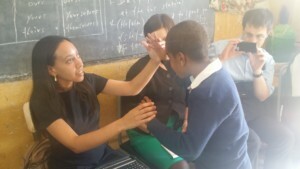 When one law professor explained the struggle of blind students to rely on other students to write down answers to exams, I shared how computers and screen reading software would allow blind students to take exams independently. 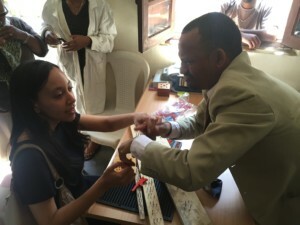 Mekele University is well resourced and it can generate funding to purchase assistive technology; all the university needed was a bit of persuasion that the investment would be worthwhile. 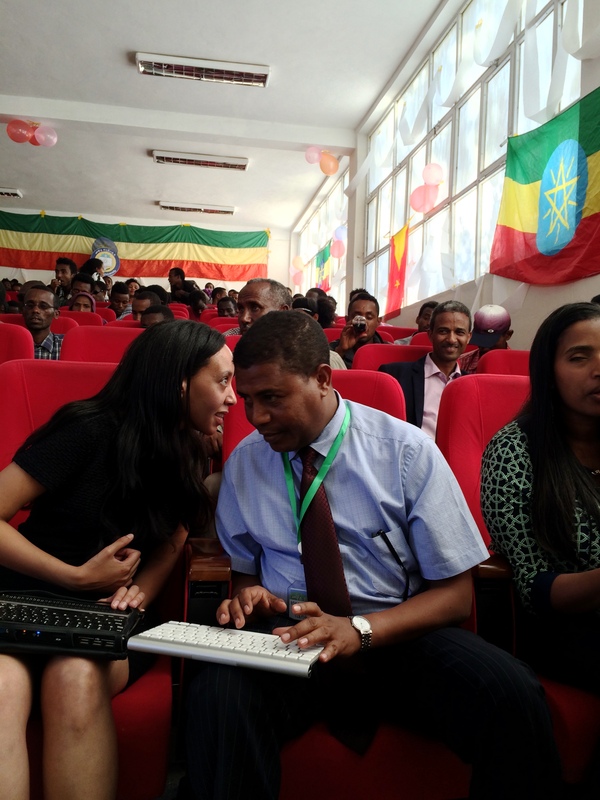 After the presentations, the President of Mekele University, Dr. Kindaye, announced that he would establish a technology center for students with disabilities. One fascinating discovery I made during my visit to disability centers in Ethiopia is the similarities between Ethiopian Sign Language and American Sign Language. 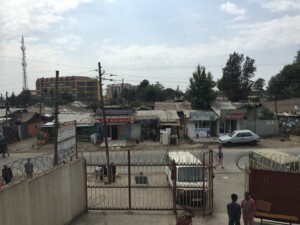 Several missionaries from the U.S. have worked with the Ethiopian Deaf community over the years, bringing American Sign Language to the Deaf schools where they worked. 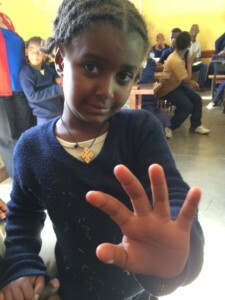 One EthSL interpreter said there is a 50% similarity to ASL. 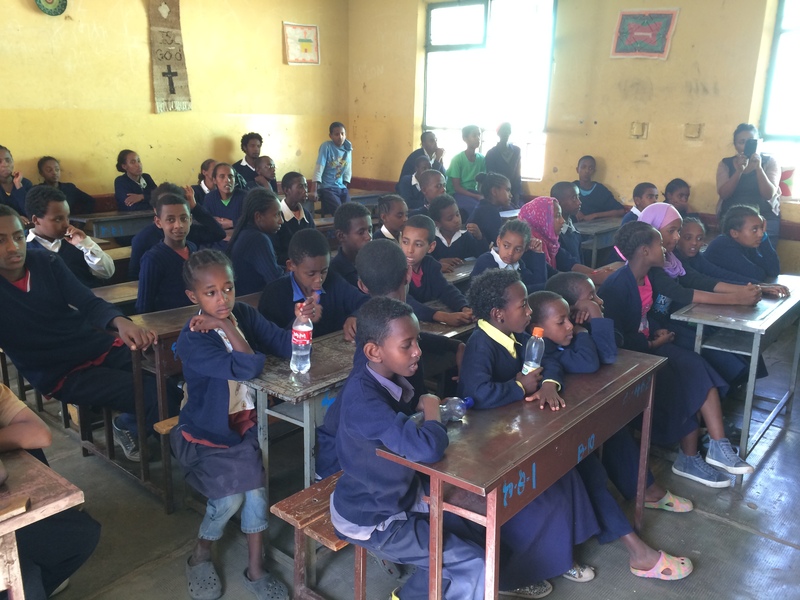 For me, I had an easier time understanding a bright 13-year-old deaf student using EthSL than many adults speaking Amharic. 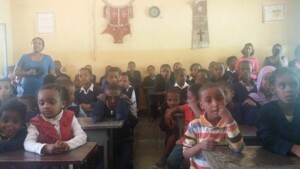 Kedus, a student at Victory School for the Deaf near the British Embassy in Addis Ababa, volunteered to sign with me on behalf of himself and his school of about 90 students using tactile EthSL. 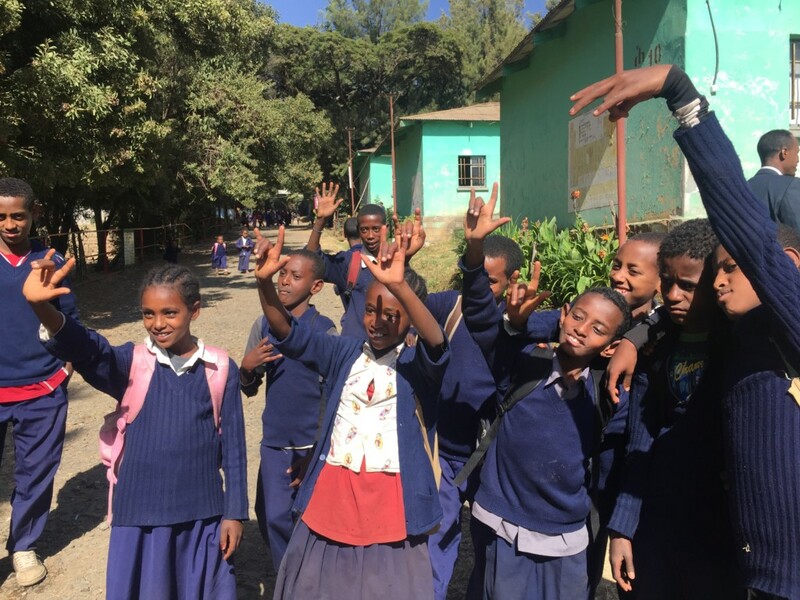 Victory School for the Deaf was established by a Deaf Ethiopian who returned from the U.S. to help children who need sign language. Her new school for the Deaf, currently under construction, will provide great classrooms for Deaf children. 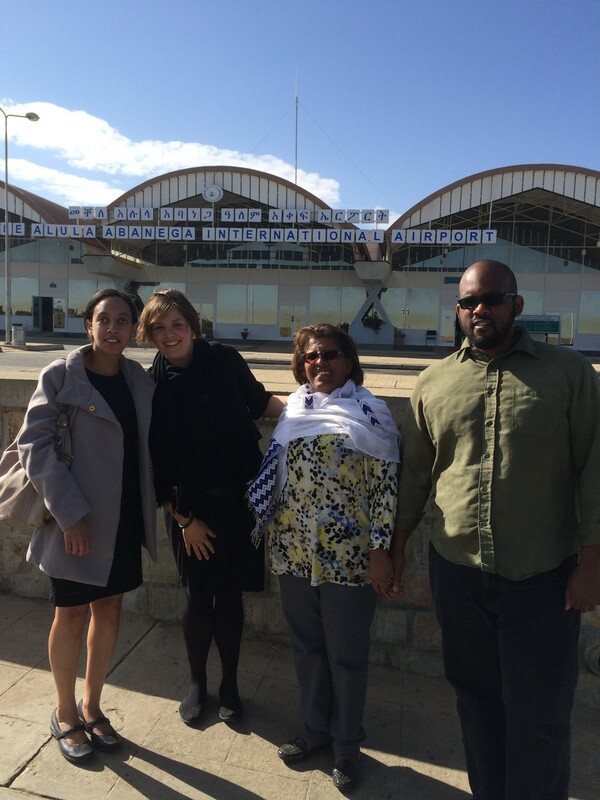 My two weeks in Ethiopia introduced me to many incredible leaders working to increase opportunities for people with disabilities. 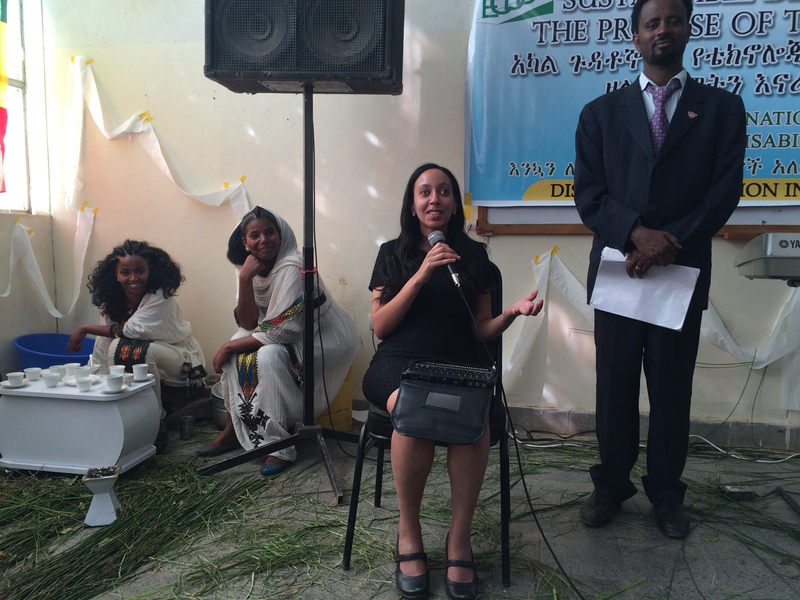 Leaders like Aster Zaoude combine local self-empowerment programs with lessons from the international disability rights movement. 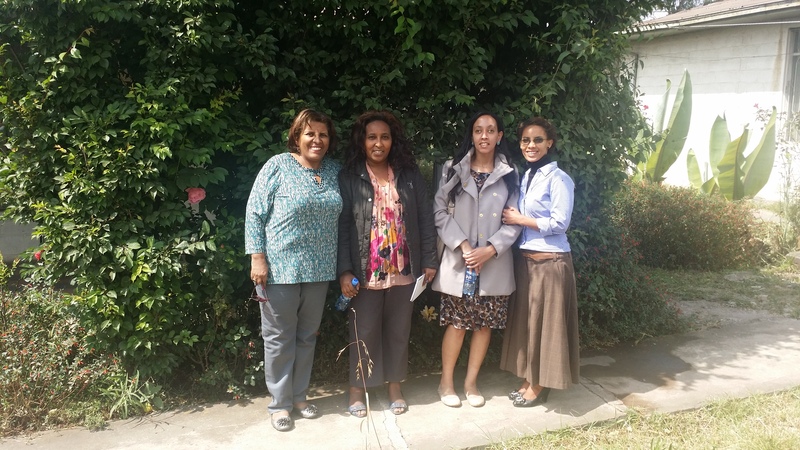 Aster’s commitment to the success of young blind women goes beyond funding their education through the Tsehay Zewde Memorial Scholarship. 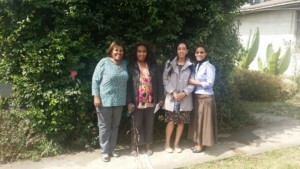 She strives to ensure that when these women graduate from university, they’ll receive a warm welcome from the professional world. With my visit to Ethiopia, Aster and I emphasized for the Minister of Foreign Affairs, university administrators, and millions of families through Tefera’s TV show that people with disabilities will succeed when given the tools, training, and opportunities.